Over 70 years ago, Les was serving as a Gunner in the Royal Artillery. As part of a 10 man team he played a critical part in demolishing German positions inland at Normandy during the Second World War. Les fought his way across Europe and was demobbed in 1947. He then went on to join the Reserves in which he served for 13 more years. 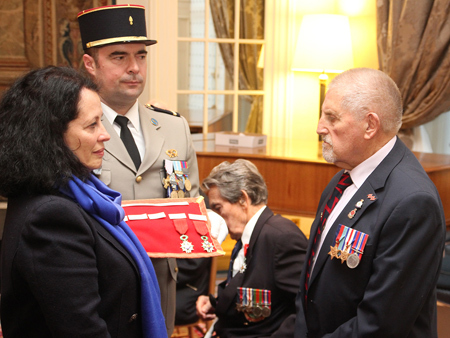 In February 2016, Les was presented with the Chevalier de la Legion d’Honneur at the French Embassy in London. Decades later, Les needed the support of The Soldiers’ Charity. Following surgery for knee and hip replacements, he struggled to get in and out of the bath safely. Without the installation of a walk-in shower, Les feared that he and his wife Jeanette would have to leave their home of 30 years. 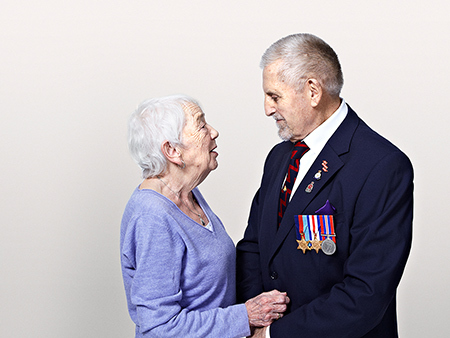 After an initial contribution by local authorities, The Soldiers’ Charity stepped in with a grant that allowed for the completion of the work and the provision of a safer living environment for this delightful couple. ‘We think it’s wonderful how the British people will so easily open up their purse and put a pound in, we appreciate it so much’. Our funding paid towards the installation of a walk in shower at the home of D-Day veteran Les and his wife Jeanette. 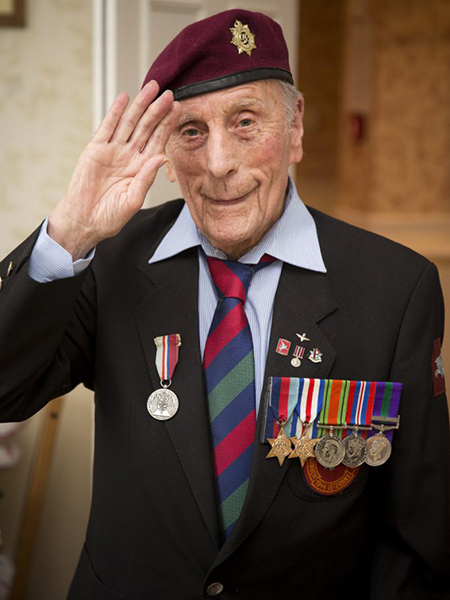 Corporal Sid Sallis, 95, is the last surviving Royal Army Service Corps Air Despatcher (RASC) to serve during the Battle of Arnhem campaign. Sid joined the Army in 1942 as a RASC driver. A knee injury sustained in the boxing ring put him in bed for a week, thus leaving him out of action for the Normandy landings. Disappointed on missing D-Day, Sid joined the 1st Airborne Division’s 63 Squadron RAC and just a few months later, 21 year old Corporal Sallis, on 20 September 1944, as an air despatcher, was flying over Arnhem dropping supplies to the British troops on the ground. 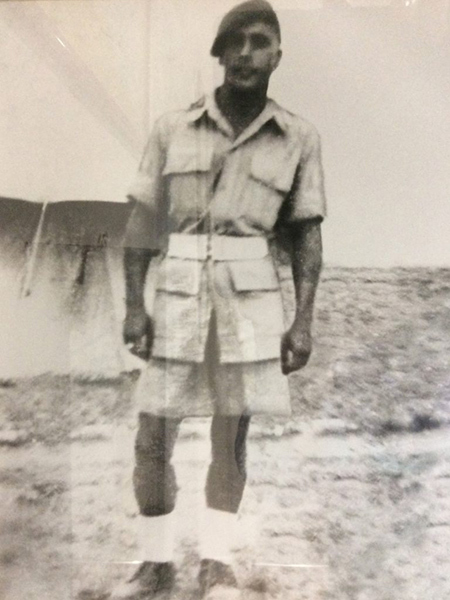 Sid served a total of five years, including a spell in a peace-keeping force in Palestine after the war, but it is his experiences at Arnhem that have stayed with him. When he needed to move into a care home in England following a period of ill health in 2015, Sid’s family sought help. 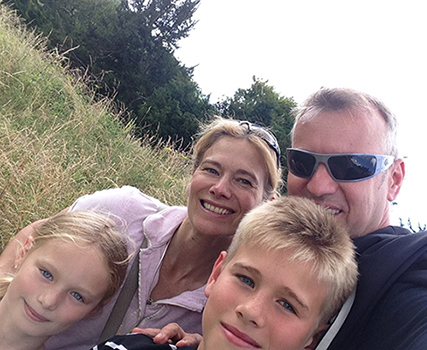 ABF The Soldiers’ Charity were approached and agreed to assist with his care home fees. Sid’s health and lucidity have improved markedly. 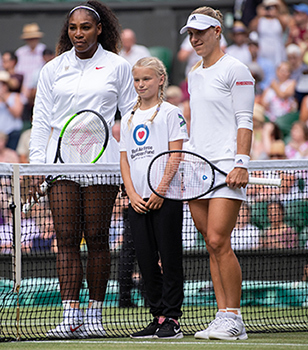 Twelve-year-old Tia Carter has been a member of Airplay for several years, enjoying the weekly sessions at RAF Brize Norton. When her mother died suddenly in 2017, the support she receives from the Airplay Youth Worker became even more important to her and her family. Tia was just 10 when her mum Joyce passed away leaving behind Tia, her brother Tyler and father Wayne, who serves in the Royal Air Force. Airplay was a place for Tia to go and be herself, share her feelings and know she was in a safe place, with the love and support she needed. Tia said: “I really like going to Airplay – I get to do lots of fun stuff. I really miss my mum and sometimes I get upset but I know I can always talk to the youth workers and they’ll listen to me and try to help. Wayne added Airplay had not only been a place for Tia to express herself, but it had also been somewhere she could be a child again, and get involved in all the activities. A once much-visited hub for the submariner community, the Drumfork Centre had fallen into a serious state of disrepair following years of use. However, it is now being rejuvenated by the RNRMC, Greenwich Hospital and the Royal Naval Association. 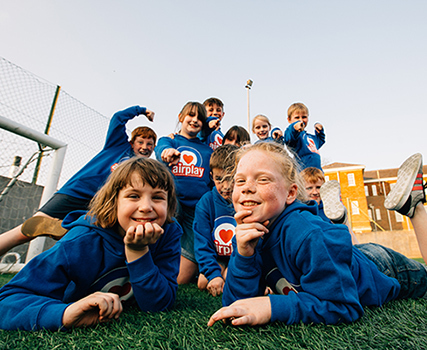 Located in Helensburgh, Scotland, Drumfork will provide a number of facilities that will benefit both the serving and local community including; a self-contained registered day nursery, a coffee shop, chapel and multi-activity spaces for groups. 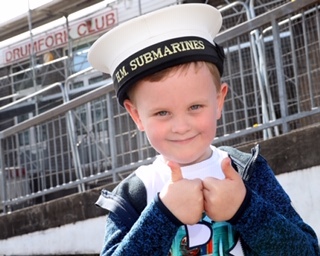 The centre is due to open in the summer and will be a lifeline for families relying on each other for emotional and practical support whilst a loved one is away at sea and will help reassure active naval personnel that their families have the best possible support in their absence.